Manny Pacquiao answered back on Floyd Mayweather Jr’s agreement for the megafight and says Mayweather should take actions, not just words. After many years of negotiations between the two camps the Mega fight between Pacquiao and Mayweather is about to happen. According to SPIN.ph, Pacquiao seemed to be irritated by the American Boxing Icon and said that Mayweather must sign the agreement. Mayweather and go in the ring to fight him. On December 12, 2014 in an interview with Showtime, Mayweather finally breaks his silence about the most awaited fight against Pacquiao and finally agreed with even a specific date for the bout. Mayweather said that the fight must be on May 2, the Cinco de Mayo weekend and must be under Showtime Pay-per-view where he has a contract with. In his statement, Mayweather had even accused Pacquiao and Bob Arum as the ones ducking the fight. It is no secret that the negotiations for the fight had been taking years for any agreement. There had been various issues over the years such as the random blood and urine testing, pay-per-view figures, and various ranting over the internet. As it can be remembered, Pacman had eventually agreed to do the random blood and urine testing but it must be done before and after the fight. But even that did not reach any mutual conclusion. 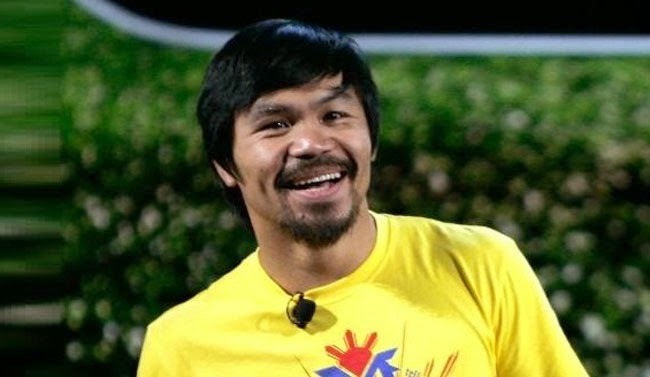 Pacquiao voiced out that money is not the issue for him. His main goal for having the fight is to give the international boxing fans a great fight before both of them retires. Pacquiao had defeated American boxer, Chris Algieri in Macau on November 22 via a unanimous decision and not before he floored Algieri in the canvass for six times. 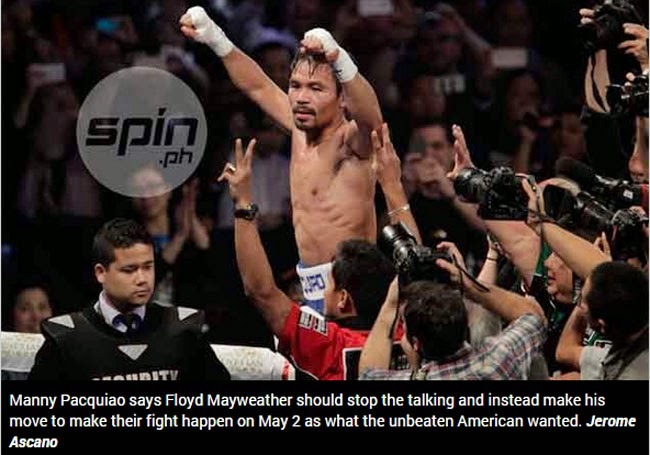 Since the fight, Pacquiao’s camp had been aggressive to secure a fight against Mayweather. On December 14, 2014, Pacquiao said that Mayweather must sign an agreement and not just use words.